A Tennessee inmate is expected to be the state's second in two months to die in an electric chair. 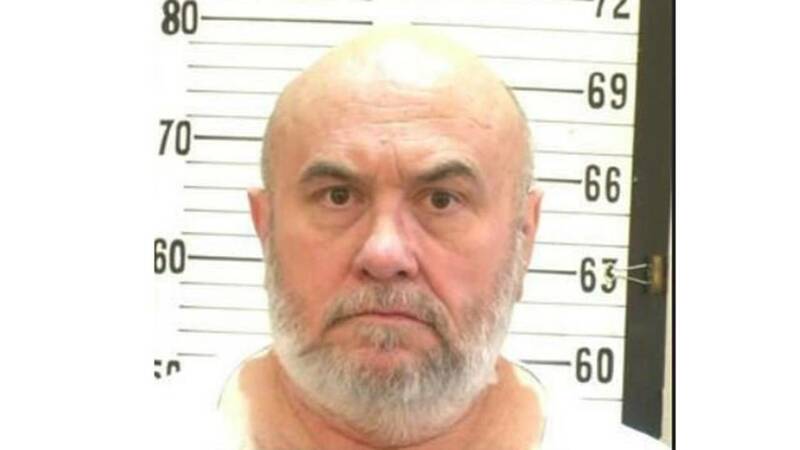 (CNN) - A Tennessee inmate was executed Thursday night, making him the state's second in two months to die in an electric chair. David Earl Miller was sentenced to death for killing Lee Standifer on May 20, 1981, in South Knoxville. He was pronounced dead at 7:25 p.m. at the Riverbend Maximum Security Institution in Nashville. No one from Standifer's family was present for the execution. Miller was executed after Tennessee Gov. Bill Haslam denied him clemency and the US Supreme Court rejected his request for a stay. He was on Tennessee's death row for more than 36 years longer than any other inmate, according to the Tennessee Department of Corrections. "Beats being on death row," were David Earl Miller's last words, according to a media witness. Miller, 61, waived his right to be executed by lethal injection last month, according to CNN affiliate WTVF, instead electing to be put to death in the electric chair. Any death row inmate who was convicted of a capital offense before January 1, 1999, can instead choose electrocution over lethal injection, according to Tennessee law. Miller cared deeply for Standifer, his public defender said in a statement after his execution. The two had recently met, and witnesses said they saw them together at several locations the night of her death. His post-conviction attorneys argued that Miller was suffering from profound, untreated mental disorders when he stabbed Standifer. The pastor with whom Miller resided found her body in the driveway of his home, stripped of clothing, with two fatal stab wounds to the head. The jury in his trial did not get to hear of the "unspeakable horror" that was Miller's childhood, in which he was raped, molested and beaten by family members, his attorneys argued. "If any of you have been reading what we've been saying to the governor, what we've submitted to the courts over the last 20 years -- you'll know that he cared deeply for Lee Standifer, and she would be alive today if it weren't for a sadistic stepfather and a mother who violated every trust that a son should have," lawyer Steve Kissinger said. "I know I came up here promising to tell you what we did here today, but I think maybe what I should be doing is ask you all that question: What is it we did here today?" After exhausting appellate claims, Miller's focus shifted to his impending execution. His attorneys argued in court filings that death by both lethal injection and the electric chair would cause him to suffer and constitute cruel and unusual punishment, violating his constitutional rights. But lethal injection would be worse, his attorneys argue. In a filing at the US Supreme Court, they said electrocution would mean "6 minutes of pain and suffering" versus 20 minutes under lethal injection. He'll be the second inmate in as many months to be put to death by electrocution. Edmund Zagorski was executed on November 1. Zagorski was the first US death row inmate since 2013 to be executed using that method, and the first in Tennessee since 2007. Miller, Zagorski and Tennessee's other death row inmates had previously tried to challenge the state's lethal injection protocol, saying it constituted cruel and unusual punishment, a violation of the Eighth Amendment. While death by electrocution might not sound like it would be less cruel than lethal injection, the constitutionality of the latter method has been called into question in recent years after a series of so-called "botched executions" that used the sedative midazolam. The state's lethal injection protocol, like most states with capital punishment, involves a three-drug cocktail. The first drug, sodium thiopental or pentobarbital, puts the inmate to sleep; the second brings on paralysis and the third stops the heart. But in recent years, as manufacturers have started withholding sodium thiopental or pentobarbital, some states, including Tennessee, have turned to using midazolam as an alternative. Critics say that drug can't reliably render someone unconscious and prevent them from experiencing pain during the execution.